Just as all good things must come to an end, so must the Visual Mapping Review series (VMRS) – at least for 2014. In this episode, we'll go over some of the things I learned from doing the VMRS, and I'll share the good and the bad from this year. I have some good things lined up for the next few episodes, so make sure you stay tuned. We'll be diving into brainstorming, email, voice recognition, goals, and other fun topics. My thoughts on the iOS 8 Upgrade from Apple. 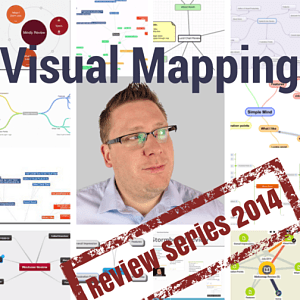 Visual Mapping Review Series 2014 – This is the list post that contains all the videos from the series. XMind 6 Beta – Will let you try out all of the XMind Pro features during the Beta period (Expires November 30, 2014). YMM.com/love – If you enjoy the podcast, you can let others know by clicking here (takes you to twitter). Thanks for subscribing to Visual Productivity. I hope you enjoyed Visual Mapping Review Series Wrapup – YMM #46. This blog is a success because of you and your support.